Protect your home from bed bugs. A home is a place of refuge. It is a place to go to feel calm and peaceful. Do not let bed bugs take away your peace and serenity! Anyone can get bed bugs. A bed bug infestation is never planned and never convenient. HeatRx can solve your bed bug problem fast! A bed bug infestation always starts with just a few bugs. Home owners, landlords, and property managers can take steps that will virtually guarantee that the few will die fast preventing them from multiplying and becoming a HUGE headache! We believe every property should have preventative measures in place. Landlords should protect themselves from tenant headaches by requiring ALL tenants to have preventative measures in place. Home owners should take preventative measures to protect against a potentially expensive bed bug problem. Stopping bed bug infestations before they start is in everyone's best interest. A dead fall trap is a device that is place underneath the legs of your bed. These devices are for everyone and every bed. The objective is to prevent the bugs from crawling from the floor and getting onto the bed. Monitoring devices with a pheromone are placed behind and underneath furniture. These should be checked every few months to see if there is bed bug activity. You are familiar with mosquito nets. This mattress liner is similar, it is a treated fabric that is installed on the bottom of your box spring. When bed bugs come in contact with it it they die. 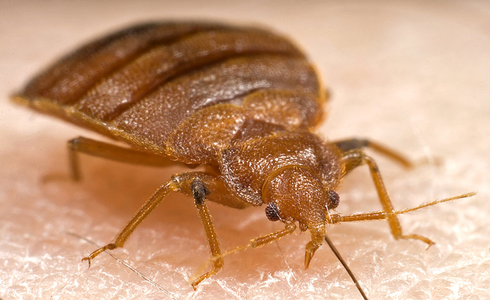 Let's say you bring bed bugs home with you from an overseas trip-- the bugs crawl out of your suitcase follow your heat and smell and come looking for a blood meal. The only way to get to you is by first crawling over the liner on the box spring! Bed bug prevention is easier than you think. A preventative treatment costs just $395, plus the cost of equipment and covers. Bed Bug Questions? Let's Connect. Preventing a big bed bug problem is easily done by taking a few proactive measures. Invite us into your home for an inspection and we will leave you some great information. Even if you don't buy from us you will be more informed about bed bugs. We like helping people.